Two years ago the world of Jewish music experienced a great loss with the passing of Moshe Yess, a beloved entertainer and gifted musician whose troubadour –inspired audiences throughout the world. Yess, who is best known for the song “My Zaidy,“ was a Baal Teshiva, who lived in Montreal, Canada, and was working as a performer and teacher until his untimely demise . With two hit albums, a recording contract with CBS Records International and numerous educational songs, Yess’s “Post Megama” performance career spanned 20 years and 5 continents. When not performing or composing his focus was on progressing in his Jewish studies. Because of his legendary crossover appeal and iconic reputation as a performer he was often called to grace the stages of high profile benefit shows and music festivals including HASC – A Time For Music, the Chabad Telethon and others. While other performers of his caliber would be content with basking in the adulation of an international fan base, Yess continued to expand his talents by partnering with Abie Rotenberg—the legendary talent that gave the world D’Veykus, Journeys and other timeless classics. Together these two creative powerhouses produced a very unique children’s album entitled the Marvelous Middos Machine. Always looking for the ‘next” Yess turned the material from these albums into one of the first animated music videos created exclusively for the Jewish audience.. Among his other projects geared towards children were Roburg[G1] , Stories of the Baal Shem Tov and the Amazing Torah Bike. Nobody understood—or respected the magnitude of his success and the ‘power” and reach of his signature style better than Yess himself He introduced the Jewish world to his contemplative yet matter-of-fact style of music which imbued Jewish youth and adults with a message of hope and faith in G-d, while inspiring them to strengthen their commitment to religious observance. The Yess Legacy will feature an all star cast of performers including friends and fellow performers who worked/performed with Moshe back in the 70’s and 80’sE.G. ; Abie Rotenberg, Rabbi Baruch Chait, Yaron Gershovsky, Lenny Solomon, Avraham Rosenblum, Gershon Veroba and Yosi Piamenta, as well as Moshe’s partner in Megama, Shalom Levine (who passed away suddenly last week). Other artists featured on the double album include some of Jewish music’s hottest names from many genres, including Soulfarm, Benny Friedman, Shlomo Katz, Sam Glaser, Moshe Hecht, Aryeh Kunstler, Nochi Krohn, Yerachmiel Zeigler, British rapper Menachem Weinstein and magazine/radio / music personality Country Yossi. They say “what’s old is new” though The Yess Legacy can best be described as timeless—every bit as fresh and contemporary today as it was when it was first debuted. 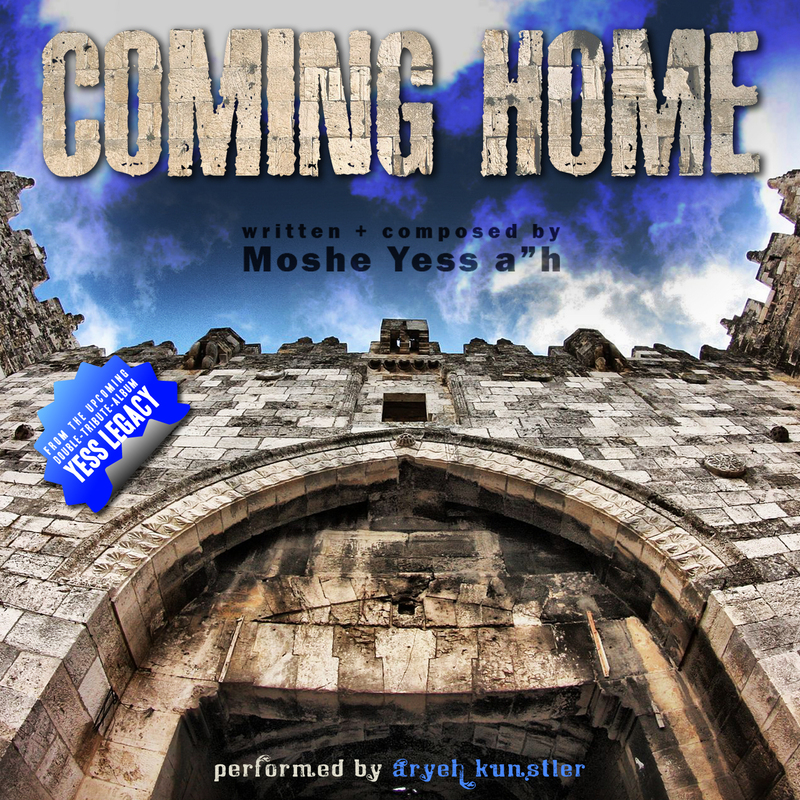 For those who remember, this album will bring new life to those wonderfully warm memories…as only the music of Moshe Yess could.